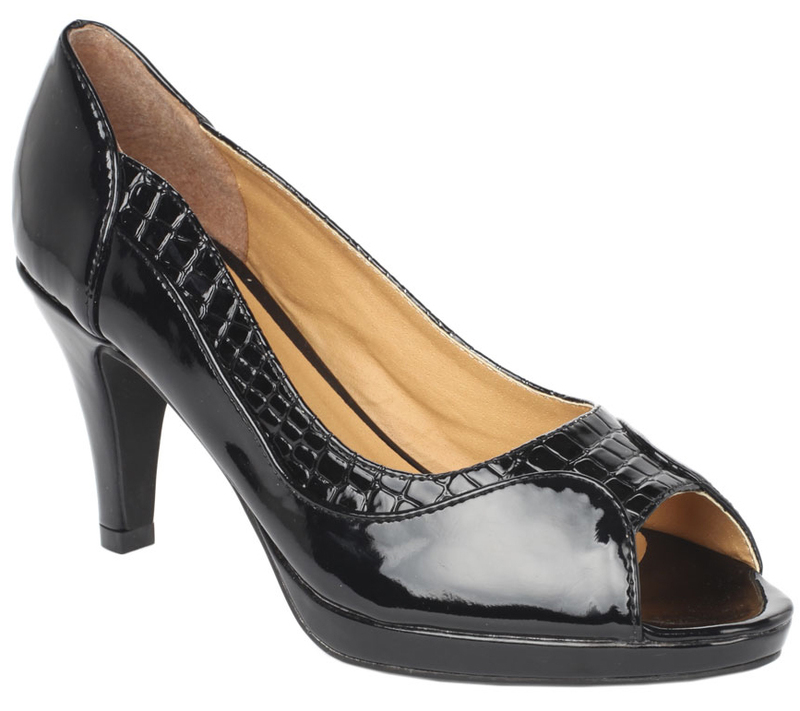 Peep-toe platform pump by Comfortview. Wide Width, Faux-crocodile trim detail, scalloped cutout near ankle. Padded insole with non-skid flexible outsole for added comfort. Comfort pad: padded insoles offer extra cushioning at heel and toe bed. Comfort grip: nonskid performance bottom is designed to reduce skidding. Comfort width: our extended sizes provide a perfect width in medium, wide and wide wide. Comfort heel: the stabilized heel design and sound construction offer better support.